The PZC Series Portion Control Scale from TOR REY offers unmatched quality and functionality in an economical portioning scale for your business. 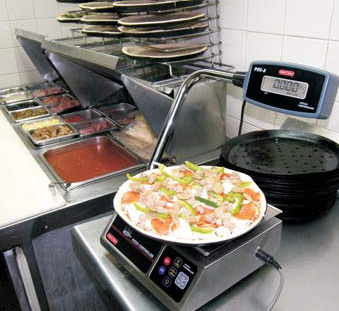 Perfect for pizza parlors, sandwich and salad shops, bakeries, supermarkets, or anywhere portion control is required. The PZC-5/10 series scales (also available in a 20 lb capacity) feature a progressive tare function to obtain net weight while automatically subtracting the container’s weight for precision measurement. 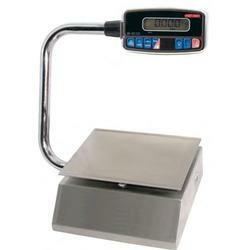 Featuring a foot tare pedal (included) to increase throughput and significantly enhance food handling safety, our scale functions with an AC adapter or built-in rechargeable battery. The stainless steel cabinet and platter are designed to handle the rough demands of every day use. The PZC-5/10 (10 lb capacity x .002 lbs) offers the precision you need to build consistent products and control costs while ensuring customer satisfaction and maximizing profitability for your business. With a compact footprint and adjustable display mounted on a steel turret, this power scale will meet the needs of your business while requiring minimal space. The PZC Series scales also feature an easy to ready display (with built-in serial port for easy PC/printer communication) and easily toggle between KG/LB/OZ. Whatever your portion control needs, the PZC Series from TOR REY will exceed the demands of your business.